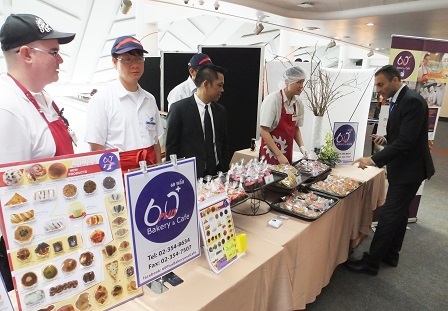 The 60 Plus+ Bakery & Cafe was at the Asia-Pacific Forum on Sustainable Development 2017 held at the United Nations Conference Centre on 29 to 30 March 2017. With the aim of promoting disability-inclusive business during the event, 60 Plus+ Bakery & Cafe training participants with disabilities helped sell bakery products and provided buyers and guests background information about the 60 Plus+ Bakery & Cafe project. The Fourth Session of the Working Group on the Asian and Pacific Decade with Disabilities, 2013-2022 was organized by the UN Economic and Social Commission for Asia and the Pacific (ESCAP) on 1 to 2 March 2017 at the United Nations Conference Centre in Bangkok. The meeting was attended by Working Group members including the Asia-Pacific Development Center on Disability (APCD), as well as other partners and supporters. 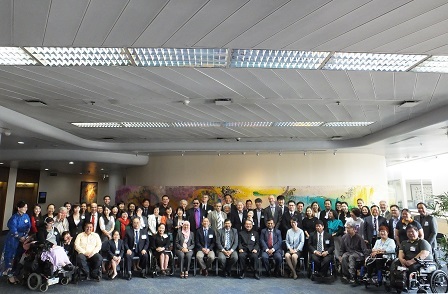 The meeting produced draft guidelines on travel by air of persons with disabilities, agreement on the preparations for the upcoming High-Level Intergovernmental Meeting on the Midpoint Review of the Asian and Pacific Decade of Persons with Disabilities, evaluation of the effectiveness of the Working Group, among other recommendations. 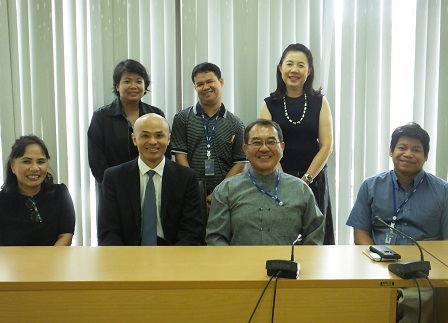 The Deputy Secretary General of Asia-Pacific Telecommunity, Mr. Masanori Kondo, visited the APCD on 28 March 2017 to learn more about APCD's projects and activities. Apart from the exchange of information between the two organizations, Mr. Kondo also interacted with the staff of the 60 Plus+ Bakery and Cafe for more information about disability inclusive business. APCD Networking Assistant Ms. Supaanong Panyasirimongkol was one of the awardees of the 'Role Model Award for Having a Career' at the commemoration of World Autism Awareness Day on 31 March 2017 in Bangkok, Thailand. 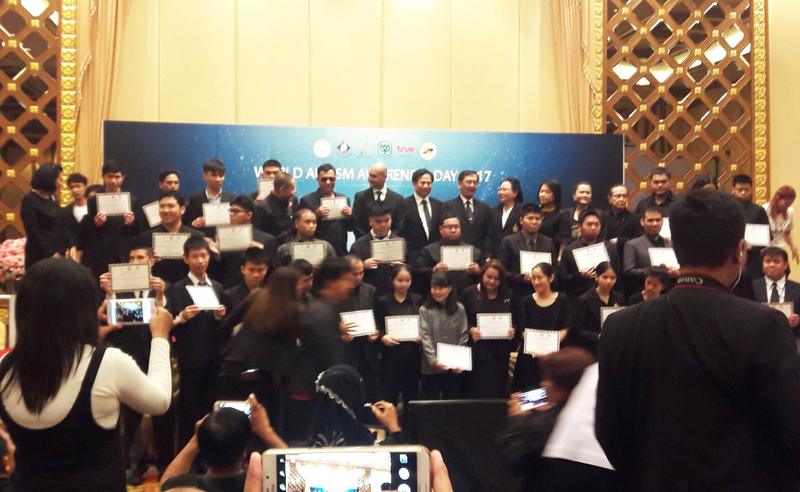 The event was organized by the Association of Parents for Thai Persons with Autism and True Corporation Public Company Ltd., and supported by Persons with Disabilities Empowerment Fund of the Department of the Empowerment of Persons with Disabilities. Attended by more than 600 persons with autism and their parents, as well as volunteers and staff, the event was meant to promote awareness about autism and inform the public about the various activities of the organizers.